PHOENIX, Arizona—The cat-and-mouse game has gone on for decades. The players have changed, and the communications are more sophisticated, but the game is the same. Drug cartels in Mexico send as much illicit contraband, and people, into the United States as possible, while law enforcement agencies north of the border try to catch them. 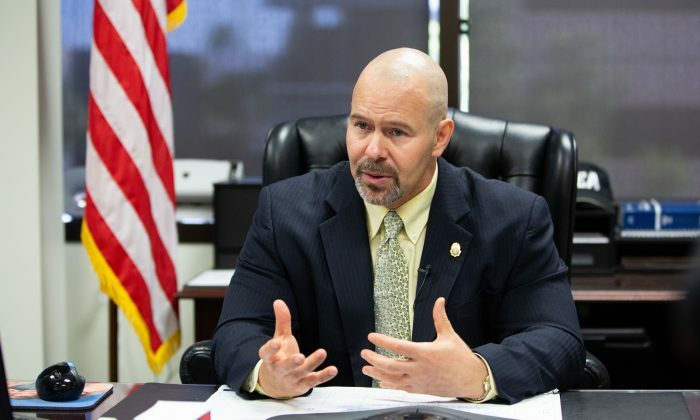 The Tucson Sector in Arizona is one of the primary marijuana trafficking routes in the country for two different reasons, said Doug Coleman, special agent in charge of the Arizona Drug Enforcement Administration (DEA). First, a lot of the terrain is remote, unpatrolled, and often unfenced, so marijuana can be more easily backpacked in. 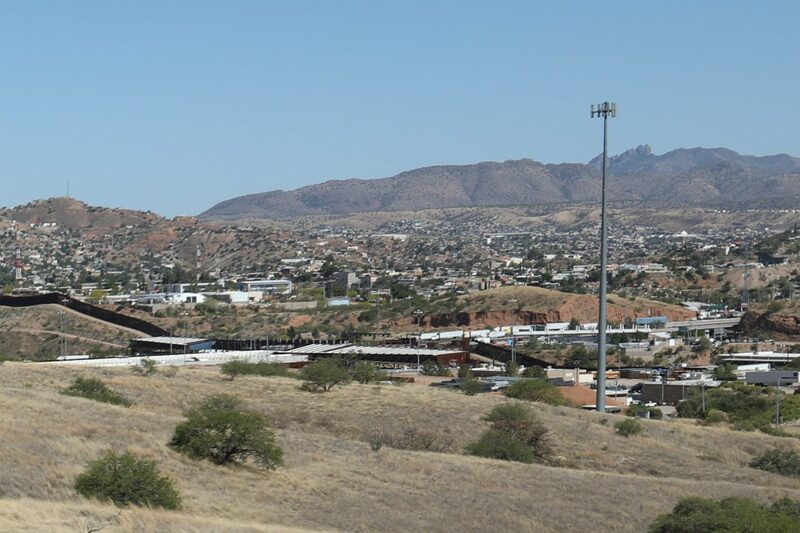 And second, the commercial port of entry in the small border town of Nogales is the entry point for about 70 percent of the winter produce trucked into the United States. Aside from the 18-wheelers, a lot of marijuana is backpacked in. On the Mexican side of the border, 15 or 20 “mules” employed by someone who works for the cartel, will each load 50 pounds of marijuana into a burlap sack and cart it across in a remote area, Coleman said. The truck then heads to Phoenix or Tucson to what the DEA calls a command and control center, where the load is re-packaged and re-distributed throughout the rest of the country. 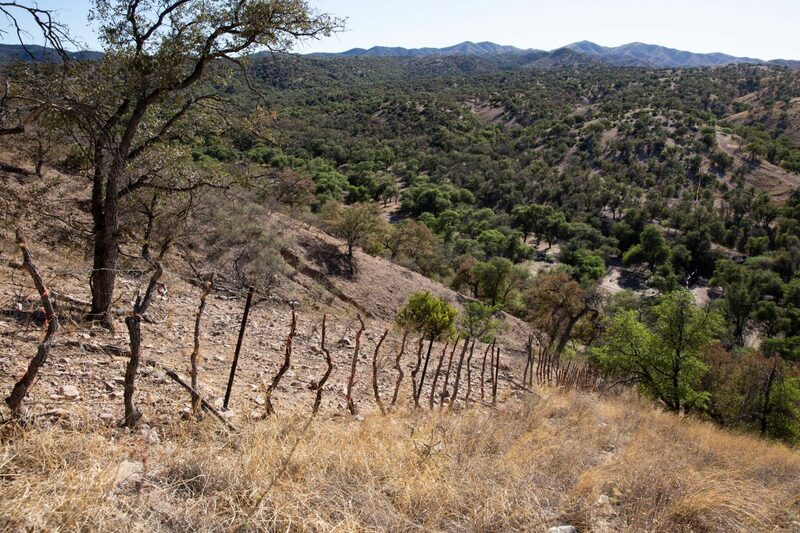 The Sinaloa cartel controls the smuggling trade into Arizona, which shares 362 miles of border with Mexico. “So if you are going to bring a load of dope in through one of those ports, you have to pay a fee to get it across, and then they control who comes and goes,” Coleman said. Hard drugs—cocaine, heroin, methamphetamine, and now fentanyl—are usually brought in via concealed compartments in passenger vehicles and trucks, Coleman said. “They will hollow out gas tanks, they will hollow out side walls, they will build very sophisticated traps and then they will put 15, 20, 30 pounds of methamphetamine or heroin or cocaine into those vehicles, and they come across,” he said. A common technique is the “ant method,” in which a convoy of around five cars, each carrying 25 pounds of methamphetamine, drives through a port of entry. In a snapshot issued this past March, Customs and Border Protection reported that on a typical day, it seized an average of 5,800 pounds of narcotics through the country’s ports of entry. Coleman said the volume of drugs coming into the United States is higher now than he has seen in his 30-year career at the agency, especially methamphetamine. Seizures of methamphetamine in the Tucson Sector increased 98 percent (to 2,533 kgs) from 2015 to 2016, according to a DEA report. “Drug trafficking ebbs and flows. Different drugs get popular then they go out of style and then new drugs come onboard,” Coleman said. Fentanyl, a synthetic opioid that is 50 to 100 times more potent than heroin, has primarily been manufactured in China. However, that’s also changing. “Mexican cartels are just buying the precursors now, and they are manufacturing fentanyl in Mexico,” Coleman said. The DEA still finds tunnels linking Mexico to the United States, but far fewer than 15 years ago, said Coleman. “Building a tunnel is a very painstaking process and you’re putting a lot of investment and time into something that could be shut down very quickly,” he said. 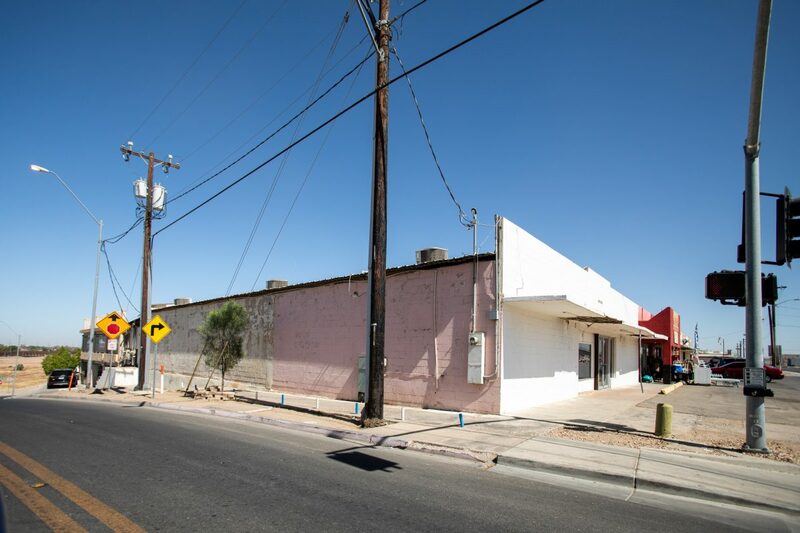 Several years ago, the DEA was informed of a tunnel project that was going to pop-up in a warehouse in Yuma, Arizona. The agency got its informant to rent the warehouse, and after the cartel spent nine months digging the 200-foot tunnel, it sent its first load through—100 pounds of methamphetamine. The DEA was there to meet it and the tunnel was closed down. The DEA isn’t so much focused on drug interdiction, however. Its real work is in taking down the kingpins. “My guys here conduct very high level, complex investigations where we not only find the cell head that is operating in Phoenix or Tucson, we track back to Mexico to find the cartel member and we expand our case to Philadelphia, Chicago, New York, wherever that is, where the drugs are ultimately ending up,” Coleman said. “When you get down to the lower levels and you get to the point where you are talking to a guy maybe here in Phoenix that is a load driver, that’s not particularly sophisticated. He gets paid $1,000 to take that load of coke back to Chicago,” Coleman said.